The Reproductive Justice Walking Tour is a Project of Words of Choice, dynamic pro-choice theater. The Reproductive Justice Walking Tour was a guided interactive walk. In a small group, with a guide, participants walked to historic sites in downtown Manhattan, with discussions and performances along the way. After a 1.5 mile walk for 90 minutes, we ended at a Reproductive Justice Fair with refreshments, art, performances, opportunities to share your story, activism, literature. See more on Where. The tour shared the history and value of reproductive justice in our communities by — literally — putting it on our map. 1-To create an engaging, interactive program that forwards the aims of the reproductive justice movement. 2-To put reproductive justice into context in our communities, in our bodies, on our feet. 3-To inform people about our reproductive rights and history. 4-To motivate, celebrate and inspire prochoice activism. 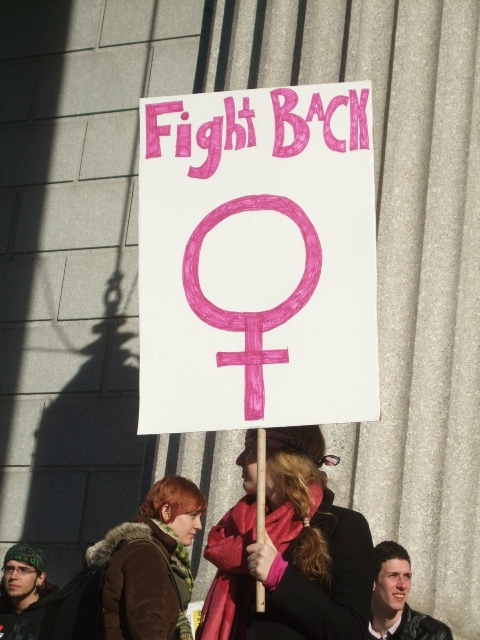 5-To draw public attention to reproductive justice and health concerns. 6-To build a toolbox, guidebook and visual information that can assist communities across the country to create a reproductive justice tour in their own localities. With generous support from the Puffin Foundation, the Abortion Conversations Project, the Anne Hale Johnson and Arthur Johnson Trust of the Capital Community Foundation, the Generative Fellowship Program of CoreAlign, individual donations to Words of Choice. Partners include Women’s eNews and its Women’s History Tours, and Judson Repro, Judson Repro, the reproductive justice project of Judson Memorial Church, organizing faith communities in support of sexual and reproductive autonomy.